This week at CES, plenty of startups are showing off all kinds of consumer hardware; none as interesting so far as Jacques Lepine‘s Slow Control, which developed the HapiFork. 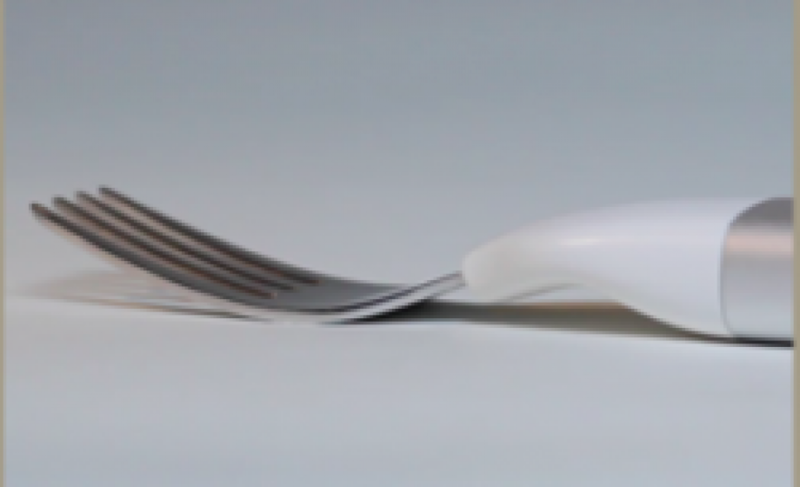 The fork monitors records and transmits data about your eating, tracking caloric intake and alerting the ‘user’ (i.e: eater) if they surpass their pre-set reigment by vibrating. Backed by a series of patents, the product’s origins come from the idea that eating slower reduces how much you eat, because it takes 20 minutes for the body to feel full. The product, called HapiFork, will be released in partnership with HabiLabs, a supplier that sells related health goods. When everyone’s yelling about specs a new phone, it’s nice to be reminded that there are still inventors out there, producing cool stuff. I’m not sure if the $99 price point that Slow Control has put on their connected fork is worth it, but it’s true that people in the US are willing to try a lot of different techniques in order to lose weight (other than, you know, ordering smaller portions of food). I’ll be interested to see how Lepine’s years working in IP Strategy will help him as he navigates the tricky hardware world.